As you know, I have been dreaming up a pink office with black and white accents for some time. We officially moved into our San Antonio home at the beginning of July, but for the past two months my office space has looked pretty much like this – the time has come to paint my office! 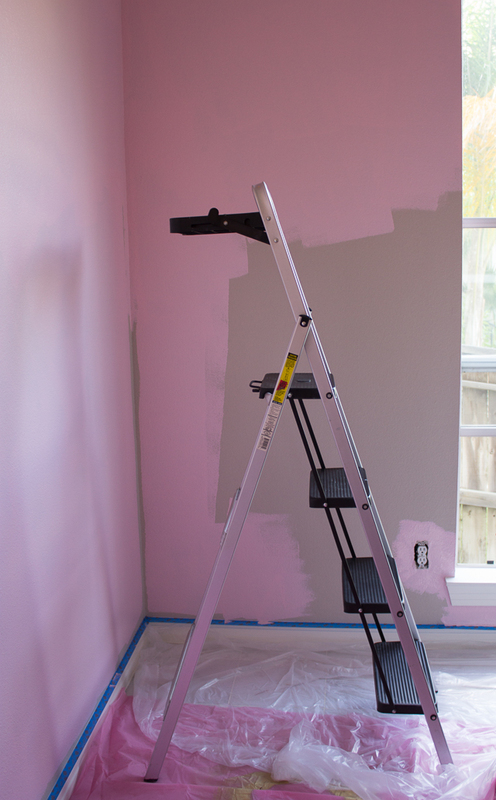 I contacted the folks at Sherwin-Williams and they were excited to help me turn this boring beige room into a chic pink office by supplying the paint! I am a long time user of Sherwin-Williams paints, and most recently got great results using them to transform our kitchen cabinets. 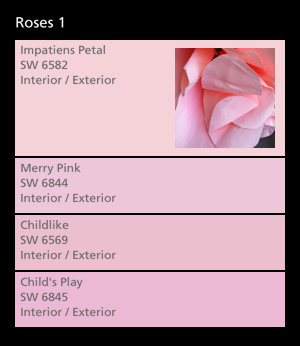 I picked up some paint swatches of these colors and ended up choosing Impatiens Petal in a Satin finish. I tried out their high-quality Emerald line of paints which are self-priming and have great washability (key with little sticky fingers bound to make their way into my office!). Ross and I spent Sat. and Sun. 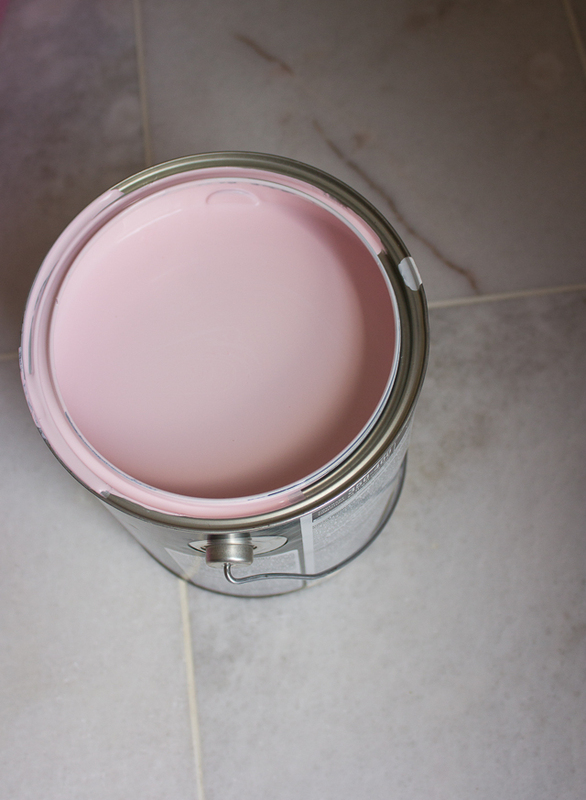 afternoon giving the office a pink makeover – you’ll have to stay tuned for the big reveal next week. In the meantime, here are a few (somewhat random) painting tips that came to mind as I was in the thick of painting! 1. Test out some colors on the wall first – it’s easy to want to pick a color from the swatch and jump right into painting (I’ll admit, that’s what I did on this project! 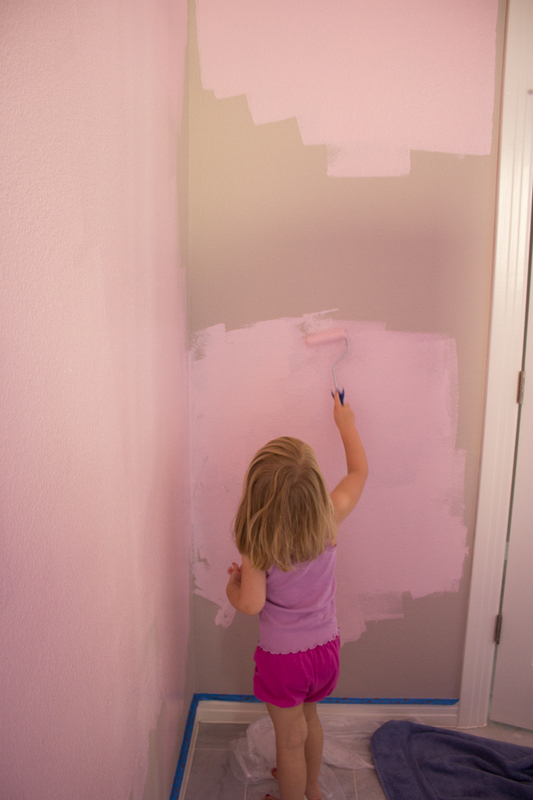 ), but it really helps to buy a few small samples of paint and put them up on the wall first. You can buy paint samples for just a few dollars a piece, and it is worth the piece of mind. Paint looks different on an entire wall than it does on a swatch and can look dramatically different based on the time of day and lighting. Live with a couple different colors of a few days and then decide! 2. Stick with the top two paint colors on the swatch – this is purely based on my own personal experience, and not a set rule. In fact, many interior designers would probably balk at this suggestion. However, I have had the most success sticking with less saturated colors on the wall. Anytime I’ve gone further down on the paint swatch the results haven’t been pretty. Have any of you had this experience? 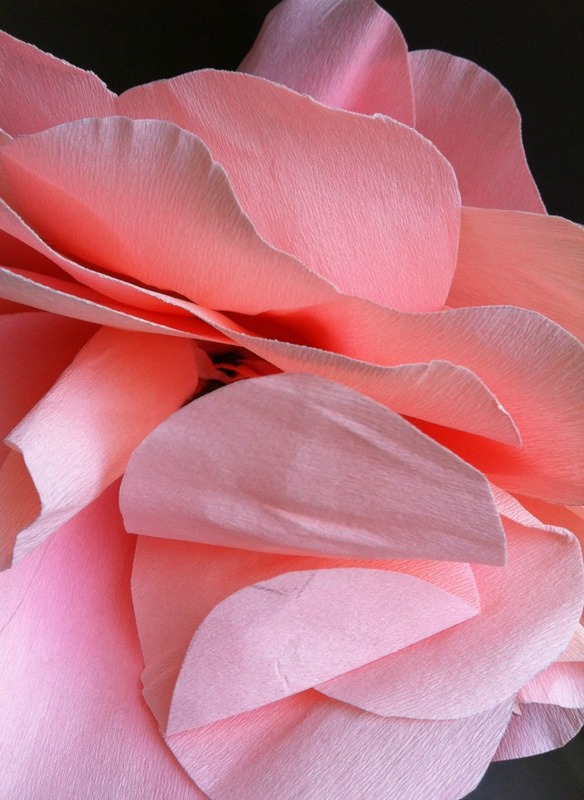 Impatiens Petal was the second color down on the paint swatch I chose. Had I tested it out before I might have resorted to the shade lighter to play it safe. It is a little bolder pink than I had initially thought to go with, but I am committed to going bold with this office! 3. Ask for lots of paint stirrers – for some reason I never end up with enough – always worth asking for a few extra. 4. 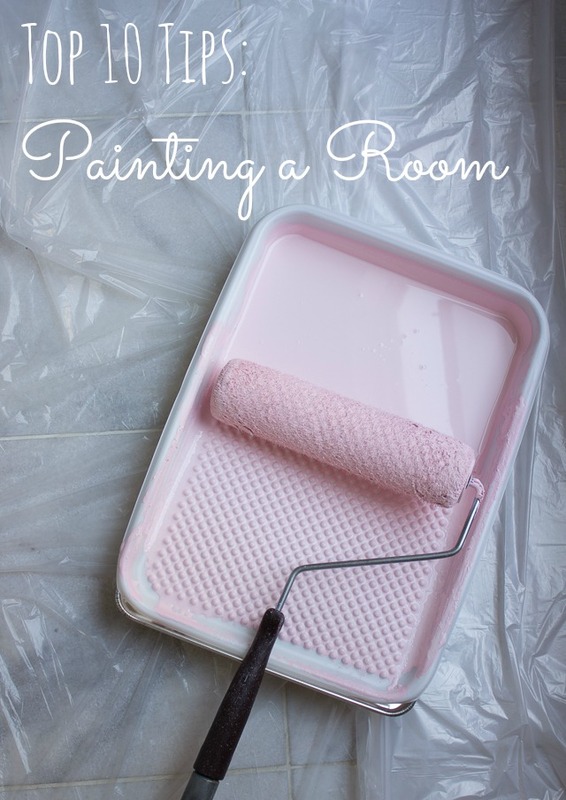 Always use painters tape and drop cloths – I’m not the world’s most patient or careful person when it comes to painting and I can get a little sloppy. 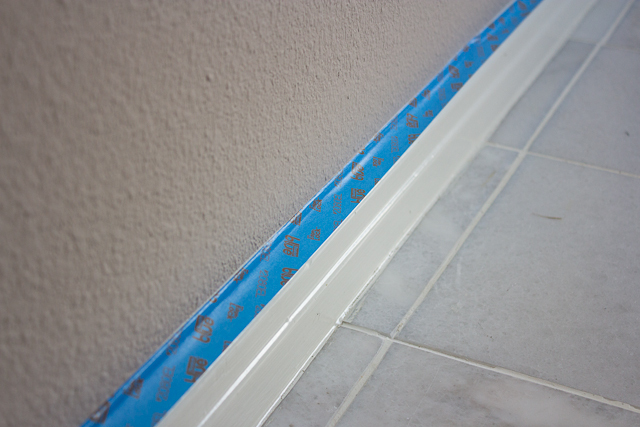 Using painters tape to shield the baseboard and putting drop cloths all along the edge of the floor next to the wall have saved me from many a drip! It is always worth taking that extra step. 5. Keep a wet rag on hand for drips – even with painters tape and drop cloths in place I’ve been known to make a mess here and there. 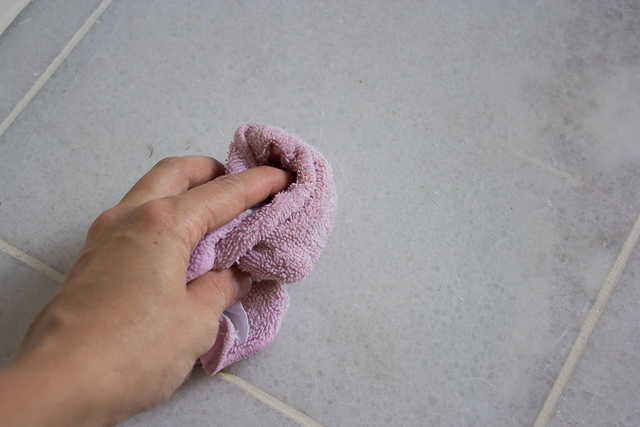 I always have a wet rag on hand to wipe anything up immediately and clean off my hands if they get paint on them. 6. Use an extension pole – It is a lot easier to paint the top half of the walls by screwing your roller into an extension pole than it is getting up on a ladder. Definitely worth investing in one of these. 7. 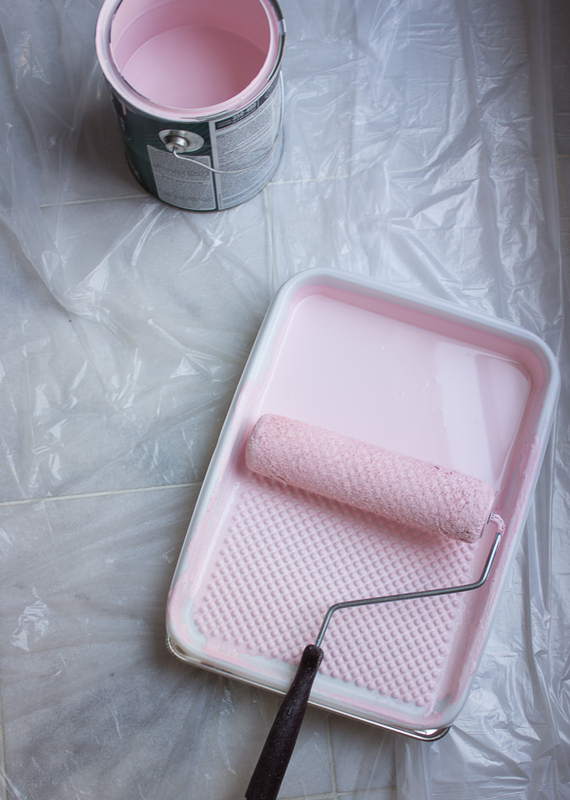 Pour some in a plastic tub for edging / touchups – rather than trying to dip your brush into the big paint can, pour some into a smaller container that you can take with you on the ladder when doing edging and touch-ups where the roller can’t reach. 8. Don’t load up your roller with too much paint or press too hard – towards of the end of a painting project I tend to find myself hurrying to get it done by putting more paint on my roller and working fast. Inevitably, I start to get paint splatters (on my clothes, the floor, etc.) from too much paint or pushing down too hard on the roller. Take it easy and use paint in moderation. 10. Furnishings make all the difference! Straying away from a neutral color palette on walls can be nerve wracking, but rest assured it can look amazing once the furniture and accessories are in place to make the room come to life! 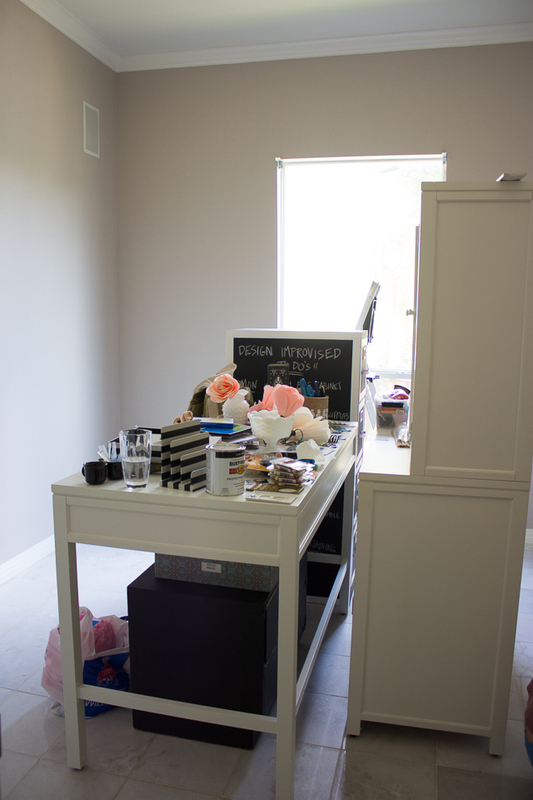 I’m so excited for my new pink office and can’t wait for you to see – check back next Wednesday for the reveal! Thank you to Sherwin-Williams for providing the paint for my office makeover! Now I’d love to hear from you – what are some of your favorite painting tips?